Tension grips Batoche, Saskatchewan in 1885. Many Métis have moved here after the 1870 Riel Rebellion in Manitoba. But life in Batoche is difficult. The Métis seem to be losing their way of life. They want title to their land, but the government has delayed it for years, and talk of a second uprising is in the air. Thirteen-year-old Josephine finds herself torn over the Resistance: she is worried for her brother who is eager to fight; for her father who prefers a peaceful solution; and for Louis Riel, the leader whose is trying to preserve the Métis way of life. Will her community be able to survive this unrest? A terrible day. I must write slowly, and be strong. So. Papa and our men left this morning with Moushoom's cariole to check their muskrat traps up and across the river. Some time later, around ten o'clock, as Armand sat at the table struggling with a lesson and Louise and I had nearly finished scrubbing the kitchen floor, we heard distant gunfire. Had our men seen ducks or geese on the river? Again and again, shots rang out. It soon became clear that it was not the sound of hunting. Both Louise and I tossed our brushes into the bucket and went to stand outside, Armand next to me. I cannot say whether Louise reached out or whether I did, but our hands clasped. Finally we all went inside and shut the door, but we could not shut out the sound of the gunfire. 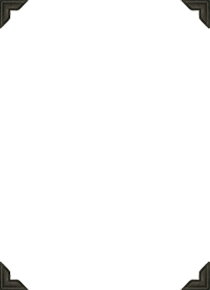 For almost one half hour it went on, and then there was silence. The brushes remained in the bucket. Armand no longer worked at his lesson. We waited, and waited even more. Never has time passed so slowly for me. The hands of the clock seemed almost to be frozen to its face. "They must have stopped somewhere to visit," I said to Louise. "Perhaps they took time for a game of billiards," she answered. "Yes," cried Armand, "a game of billiards!" Suddenly we heard the sound of the dogs' bells. Armand went back to his lesson, Louise turned to the stove, I picked a scrub brush out of the bucket, and then the kitchen was filled with Papa, Edmond, Adrian and Moushoom. The trapping was successful, we were told. There were a dozen fat muskrats for us to gut and skin, and two plump mallards as well. I should have felt the weight of fear lifting from my heart as I worked with Louise, but I did not. So many shots fired for just two ducks? We skinned the muskrats and cleaned them, carefully removing the musk glands so that the meat would not be tainted. Moushoom will tan the skins and keep a few of them to soothe his hands. The rest of the pelts he will bring over to Letendre's for trade. And, of course, he will take a few of the muskrat carcasses over to One Arrow tomorrow. We boiled the muskrats and put them in the oven to roast. Then we feasted. Muskrat flesh cleanses your insides, and since spring is the time for cleansing, it is a good food for this time of year. They were delicious, and as I ate, I was sure I could feel myself beginning to be cleansed of worry and doubt. Then when supper was cleared away and the dishes washed, Papa told us what had happened, what the gunshots had meant. There had been a battle at Duck Lake. Nearly three hundred Métis, and our Cree allies, against maybe one hundred of the North-West Mounted Police from Fort Carlton and their volunteers from Prince Albert. My heart began to pound at the thought of those men having been so close to us. When the fighting began, Papa and our men were nearly ready to cross the river and head for home. Word came to them that reinforcements were needed. Of course, they went to the aid of Dumont and the army. He sighed, and with that sigh, my hands grew damp, because I knew something worse was coming. Finally Papa spoke again. Gabriel Dumont was wounded, and badly enough, but his brother Isadore and three others of our Métis men — Jean-Baptiste Montour, August Laframboise and Joseph Montour — are dead. The police had also killed a Cree ally named Assiyiwin. Twelve of the enemy were dead. At all this news, my stomach turned into a hard knot, and the muskrat I had eaten threatened to come up. All I could see in my head were scenes of the revenge that would surely now threaten us. When I asked about Monsieur Riel, Papa answered that he had not fought. Instead he sat on his horse, a crucifix in his hand, and prayed for the brave Métis fighters. Armand cried out in excitement that it had worked, that we had won, and Papa opened his mouth to say something, but then he paused. Finally he told Armand to ready himself for bed. From Dear Canada: Blood Upon Our Land, copyright © 2009 by Maxine Trottier . This book was my first Dear Canada, and it was sooo sad yet amazing!!! I read it a while ago but after that I knew Dear Canada was FOR ME!!!!! Now I'm going to read No Safe Harbour The Halifax Explosion Diary of Charlotte Blackburn Halifax, Nova Scotia, 1917 because it has so many good reviews!!! 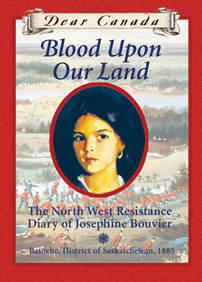 Josephine Bouvier is a young metis growing up during the North West Resistance. This book is amazing. It's about how a young girl lived the time of a resistance, not a rebellion. I read Blood Upon our Land a few days ago and it was amazing! I bought the book when it first came out but I couldn't get into it. I read the whole thing as part of my summer goal to read every Dear Canada book I own, and it was one of the best in the series! Maxine Trottier is an amazing author. The book describes the resistance with an interesting an honest view. I have learned a few new words, too! This was a book my teacher gave me. At first I didn't want to read it, then when I finished, I LOVED it. Being a direct descendant of Louis Riel, I've heard many stories about the Northwest Resistance of 1885. Blood Upon our Land is by far my favourite of these stories. It was full of action and suspense, yet had a very happy ending for the Bouvier family.